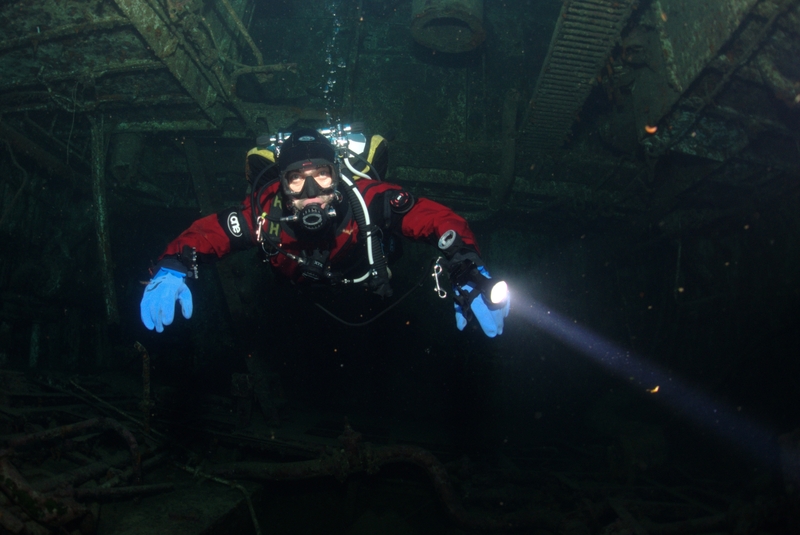 Taking photos in shipwrecks with one strobe is always hit or miss. This is Jackie in the Rozi. Another strobe on the way… it should make this pictures much more engaging! This work is licensed under a Creative Commons Attribution-ShareAlike 4.0 International License. Please attribute Kristaps, the photographer, with a link to kristaps.bsd.lv/photo0070.html.